Obesity is a medical condition in which body fat is in excess. The fat gets accumulated to such an extent that it becomes harmful for the person. People are called obese if their body mass index (BMI) is above 30kg/m2. BMI is calculated by dividing the weight of the person with the square of the height of the person. Obesity further increases the chances of having some severe conditions like heart disease, type 2 diabetes, sleep apnea along with different types of cancer. Obesity may be caused by excessive eating, little to no physical activity and having a family history of the same. In some cases, endocrine disorders, mental disorders and medications can also lead to obesity. Obesity has a long-term effect on physical, social and emotional health of a person. 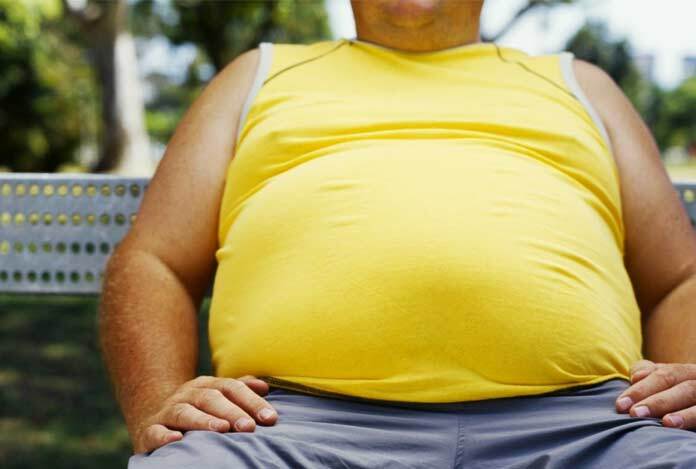 People with obesity are at a greater risk of having other health conditions like asthma, and bone and joint problems. Children with obesity are teased and bullied more than their counterparts. Because of this condition, there is a greater susceptibility of them to suffer from depression, low self-esteem and unable to form long-lasting friendships and other relationships. Childhood obesity is related to having obesity in adulthood. More than a third of individuals in the U.S. have obesity. Around 1 in 6 children in the U.S. are obese, and nearly 17% of children in the age range of 2-19 suffer from obesity. Approximately 12.5% of the American preschoolers are obese. However, rates of obesity are falling gradually as people are becoming more conscious about their own and children’s health. As a matter of fact, obesity is associated with more than 60 types of chronic diseases. If facts are to be believed, obesity is among the top five leading causes of death around the globe. It has been known to cause around 2.8 million deaths every year in the U.S. with the health care costs for dealing with obesity stand at whopping 147 billion USD. Usually, adults in the age range of 40-59 have the greatest likelihood of being obese. More than 40% of adults in this age range and a third of individuals above the age of 60 are obese in the U.S.
Men are more likely to be obese as compared to women. 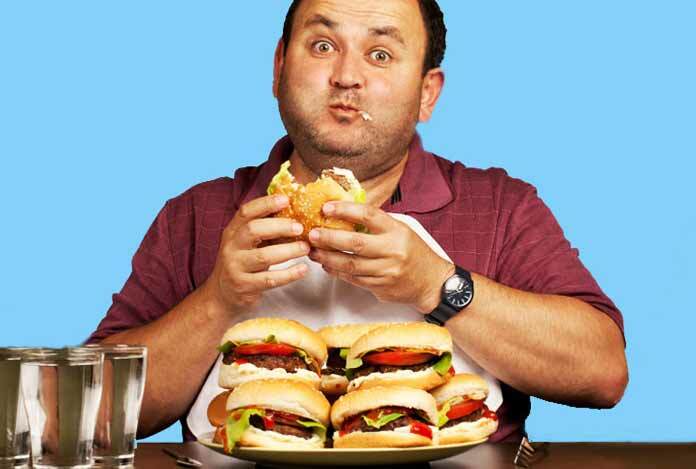 Around 40% of women in America are obese, whereas nearly 35% of American men have obesity. As of now, Americans eat 23% more calories than the consumption back in 1970s. Also, obese people miss working more often than non-obese people. Type 1 Obesity: It is not caused by a disease. In fact, it occurs due to excessive eating and no physical activity. Type 2 obesity: It is caused by some underlying diseases like PCOD, Cushing syndrome and so on. It makes up for less than 1% of all obesity cases. In this type of obesity, it has been found that even little intake of food results in weight gain. Adult Type: In this, the size of the fat cells increases. It generally occurs in middle age. Child Type: In this type, the number of fat cells increases. It is next to impossible to reduce the fat cells that have already been developed. Obesity can lead to changes that one does not notice. It can affect health and could lead to or could be caused by conditions like high blood pressure or hypertension and high cholesterol. These could considerably increase the chances of developing cardiovascular diseases, such as coronary heart disease and stroke. Lifestyle Habits: People may not be walking enough. They may be driving when they could actually walk. Neighborhoods may not be suitable for carrying out outdoor activities. Workplaces may only be offering high-calorie snacks instead of providing healthy alternatives. Social Factors: Poverty may lead to people buying high-calorie processed foods as these may be less costly than healthy foods. Limited opportunities may be available for exercise and walking or jogging. Gym membership may be too expensive. 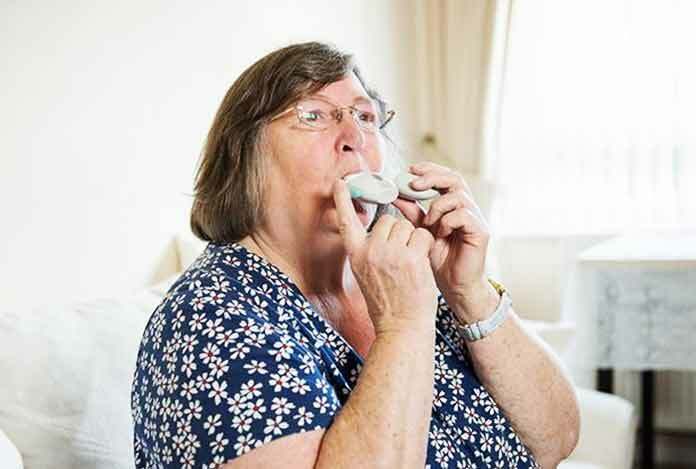 Quitting Smoking: It has been found that people gain weight when they quit smoking. Food starts to taste better, so they eat more, which gradually leads to weight gain. Alcohol: It gives you more calories, increases appetite. It further intervenes with a person’s choice for healthy meals. Age: As one ages the requirement for calories decreases. This is because the activity levels reduce, and metabolism also slows down. Thus, intake of calories more the required amount leads to obesity. Cushing’s Syndrome: This results in increased fat around the neck and upper part of the body, while the arms and legs start to thin. Hypothyroidism: When less thyroid hormone is produced in the body, the metabolism slows down and also less energy for exercise is available. 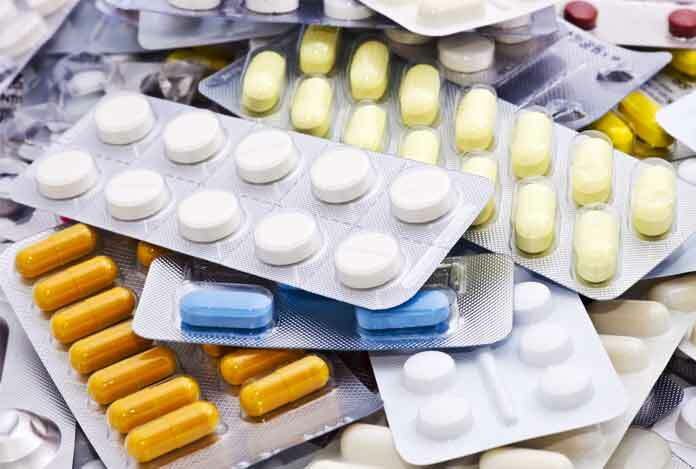 Medicines: Some drugs like steroids, antidepressants and psychiatric medicines can slow down the metabolism of the body, lead to increase in appetite and cause the body to store water. PCOD: In women, polycystic ovarian syndrome may result in weight gain. Psychological Issues: Emotional issues like stress and boredom may cause people to consume more food and take less part in physical activities. Genes: Obesity runs in families. Obese parents have more chances of having obese children. Obesity is a condition in which excess fat accumulates in the body. The fat does not burn off at a rate faster than its storage. It can sometimes be confused with Prader-Willi syndrome. This is because even in Prader Will Syndrome, a person tends to overeat. He/she has an excessive appetite, which can lead to weight gain to the alarming level. Similarly, unexpected weight gain or obesity can also be caused by some other conditions like hypothyroidism and PCOD or maybe a side effect of any medicine. Thus, for proper diagnosis of the condition, one must consult the doctor. Obesity is generally caused by eating too much and participating in too little physical activity. Poor diet and unhealthy lifestyle choices can also be probable causes of this condition. If one consumes high-calorie foods, especially fast foods and processed foods rich in fats and sugars, and does not burn them off through physical activities, then the excess energy gets stored as fat in the body. 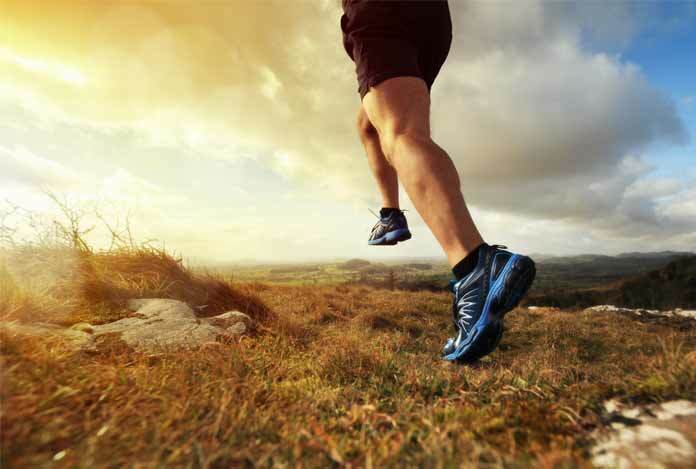 An average man, who is physically active needs about 2500 calories in a day for maintaining proper and healthy weight. Likewise, an average woman, who is physically active needs about 2000 calories per day. However, the issue is that most people are not active physically, so the entire consumption gets stored in the form of fat in various body parts. 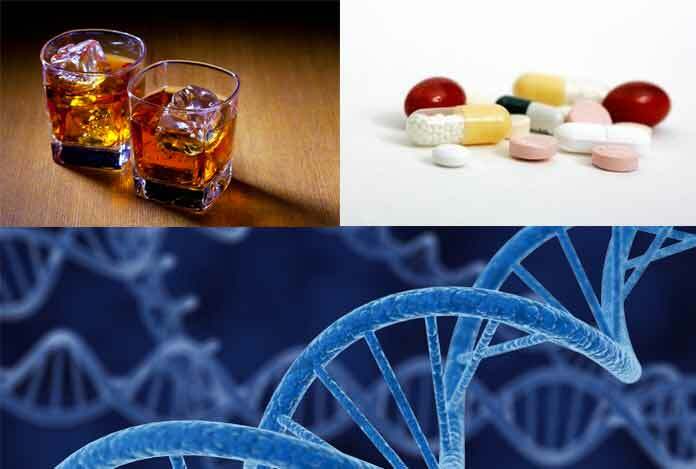 Heavy drinkers are also known to develop obesity over time; hence, a causative factor for obesity. If a person is drinking soft drinks with loads of sugar content, then it may also result in obesity. Sometimes, depressed people may indulge in eating too much, which is called comfort eating. This may also be a reason for obesity. In the last two decades, lack of physical activity has emerged as one of the leading causes of obesity. Most people are involved in jobs that require sitting for the maximum fraction of the day. And when they get time, instead of exercising, they spend their time browsing the net and using computers. Increase the intake of fruits, nuts, vegetables and whole grains. These are low in calories and loaded with nutrients. Saturated fats must be avoided, and consumption of sweets and alcohol must be limited. Exercise for at least half an hour every day. Moderate intensity workout can prevent weight gain. Reduce consumption of fatty and sugar-based foods. Replace animal-based fats with vegetable-based oils. Weight must be monitored regularly. People must keep a check on their increasing weight and weigh themselves at least once a week. In case one’s Body Mass Index (BMI) shows that he/she is in the range of obesity, then the doctor may recommend the following tests and physical examination. 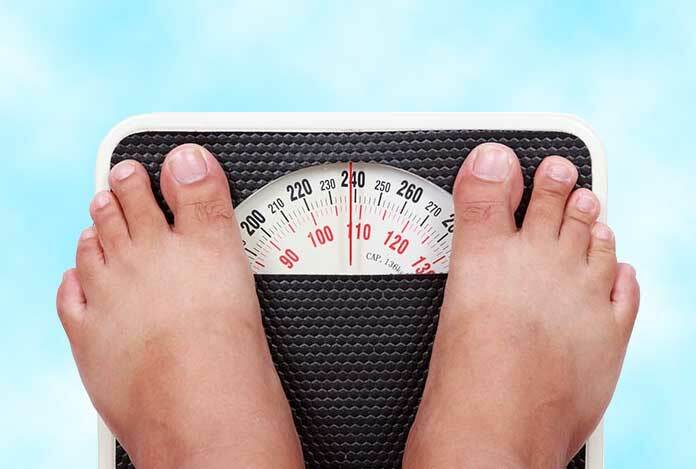 Reviewing History: Doctor may review weight history, eating patterns, lifestyle habits, what medications a person is taking and level of stress to see if there is predisposition to weight gain. Physical Examination: This involves measuring height, checking heart rate and blood pressure. Calculating Body Mass Index (BMI): Doctor will check the BMI for determining the level of obesity. This is done once a year. It also helps determine the risk and which treatment option would be appropriate. Measuring Fat Accumulation around the Waist: Fat stored around the waist, known as visceral or abdominal fat may further increase the risk of conditions like diabetes and heart disease. Women having a waist measurement of more than 35 inches and men with a waist measurement of more than 40 inches have more risk as compared to their counterparts. 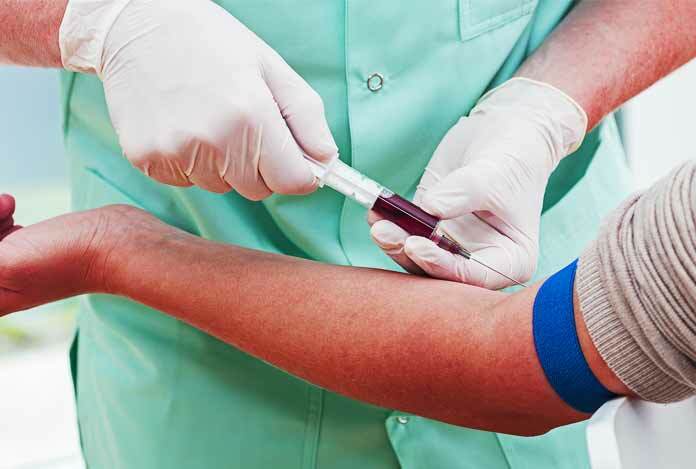 Blood Tests: These tests may include a cholesterol test, liver function test and thyroid test. Certain heart tests may also be recommended like electrocardiogram. The first and foremost goal of obesity treatment is weight loss – around 3-5% of the total body weight. So, it means, if one is weighing 90 kilograms one needs to lose only 6-10 pounds for the health to start to improve. Treatment methods that can be used depending on the level of obesity, overall health and participation in the weight-loss program. Reducing calories: It is important to cut back on calories. So, one must decide in consultation with the doctor as to how many calories one needs to consume each day to lose weight. Avoid High Energy Density Foods: Foods like candies and processed foods have high energy density. This means a small serving of these foods gives you more calories. On the other hand, some foods like fruits and vegetables have low energy density. This suggests that even large portions of these foods provide fewer calories. Consume Healthier Foods: One must go for fruits and vegetables. Cut out on salt and sugars. People eating fats she must make sure that they eat only small amounts and that too, these must come from sources that are healthy like olive and nut oils. Restricting Certain Foods: Certain foods like the ones that are high in carbohydrates or loaded with fats should not be consumed. One must avoid sweetened or sugary drinks as these are very high in calories. 2. Exercise: Increasing physical activity is very important for treating obesity. Overweight or obese people need to indulge in at least two and a half hours of physical activity daily. To achieve a considerable amount of weight loss, the time spent in exercising must be increased. Once you get accustomed to exercising, you can increase the time spent and reap more benefits. Prepare a schedule so that you are able to easily incorporate activities like walking and exercising. Use a pedometer to keep track of how many steps you walk each day. Counseling: Intervention by a trained professional can help one address emotional issues related to eating. Therapy will make it clear as to why you overeat, and how you can overcome your anxiety. This will also help one know eating triggers and cope with cravings for food. 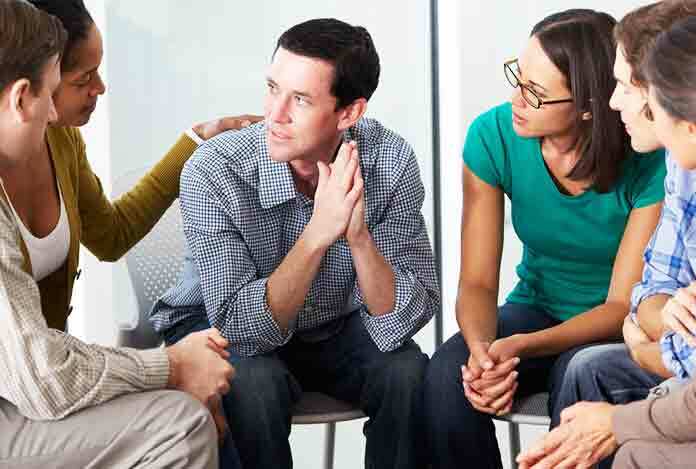 Support Groups: This help to relate to others, who are facing the similar issue of obesity. One can check with local hospitals for support groups in nearby areas. 4. Prescription Medicines for Weight Loss: Exercise and dietary modifications help in losing weight. However, if the above strategies don’t work, prescription weight-loss medicines can be opted. Also, it must be borne in mind that medications for weight loss work only with diet, exercise and behavioral changes. Medicines won’t work if changes in other aspects are not made. Commonly prescribed weight-loss medications include orlistat, lorcaserin, phentermine and topiramate, bupropion, naltrexone and liraglutide. Medical monitoring is required while taking prescription medicines. Also, these medicines may not work for everyone. When one stops taking the medicines, much of the lost weight may soon return. 5. Weight Loss Surgery: Weight loss surgery, also known as bariatric surgery, is another viable option. Weight-loss surgery limits food intake, and decreases the absorption of food and calories. Weight-loss surgery should be considered only after all other methods have failed. Surgery will be successful only when one is committed to make the necessary changes in eating and exercising habits. Gastric Bypass Surgery: In this surgery, a small pouch is created at the top of the stomach. The small intestine is cut and connected to the newly created pouch. Food and other consumption directly go from the pouch into this part of the intestine, bypassing the stomach. 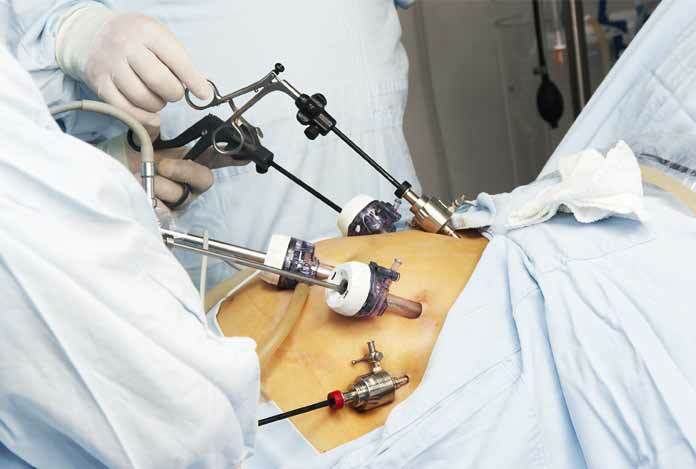 Laparoscopic Adjustable Gastric Banding (LAGB): In this surgery, two pouches are created connected by an inflatable band. A channel is created between the two pouches. The band prevents the expansion of the opening between the two pouches. Gastric Sleeve: In this type of surgery, a part of the stomach is removed; thereby, creating a relatively smaller reservoir for food. It is not a very complicated surgery. Biliopancreatic Diversion: In this surgery, a large part of the stomach is removed. The remaining part of the stomach is connected to the lower portion of the small intestine. This surgery has long-term effects. People, who have undergone this surgery must take vitamin and mineral supplements for life. This can be quite expensive, and it is usually done in people, who are super obese. 6. Other Treatments: “Vagal nerve blockade therapy” is yet another treatment for weight loss. This technology has been approved by the FDA. It is particularly useful in those, who have not been able to lose weight by common weight-loss strategies discussed above and those, who have a BMI of 35-45 with the presence of one more condition like type 2 diabetes. There are many drugs available over the counter without doctor’s prescription for the treatment of obesity. 5-hydroxytryptophan (5-HTP) is a common ingredient found in most of these over-the-counter medications. It is a precursor to a chemical in the brain, known as serotonin. It is associated with the regulation of food intake. It has been proved that intake of 5-HTP decreases the number of calories a person consumes in a day and helps in losing weight. Citrus aurantium is another ingredient in several nonprescription, weight-loss products. Some studies have claimed that this must be avoided as it can lead to heart problems and high blood pressure. Another ingredient of weight-loss OTC drugs is chitosan, which decreases fat absorption by binding to it. It acts as fiber by giving a feeling of fullness. It is derived from shellfish, so anybody allergic to shellfish must avoid it. Likewise, conjugated linoleic acid (CLA) helps shrinks fat tissues by causing fat cells to die. CLA supplements are extensively used for weight loss. Know About Your Condition: Learning about obesity gives you a chance to know why you became obese and what you can do about it. You will be better able to stick to your plan of treatment. Set Realistic and Achievable Targets: When you have to shed weight, you may set unrealistic goals like losing too much weight too fast. Set goals each day for exercise and losing weight gradually. Make small changes in diet that you would stick to in the long run. Sticking to Plan of Treatment: If you have lived a particular way for years, then bringing about immediate changes may be difficult. Look out for new methods and approaches that could help you stick to your treatment plan. Seek Support: Look out for support from your family members and friends, who would stand by you and provide necessary support, and do not sabotage your efforts. They should be able to understand how important it is for you to lose weight. Keep a Record: This will make you accountable for eating and exercising. You will be able to identify what works for you and what does not. You may be able to use your record book to track other parameters like cholesterol levels and blood pressure. Knowing and Avoiding Triggers: Simply distract yourself from circumstances, wherein you may tend to overeat or eat stuffs that re not good for your health. Say no to unhealthy foods, and eat only when you feel hungry. Take Medicines as Prescribed: Follow the directions of your doctor as far as medication is concerned. If you are unable to stick to the prescribed schedule or have side effects, consult your doctor. 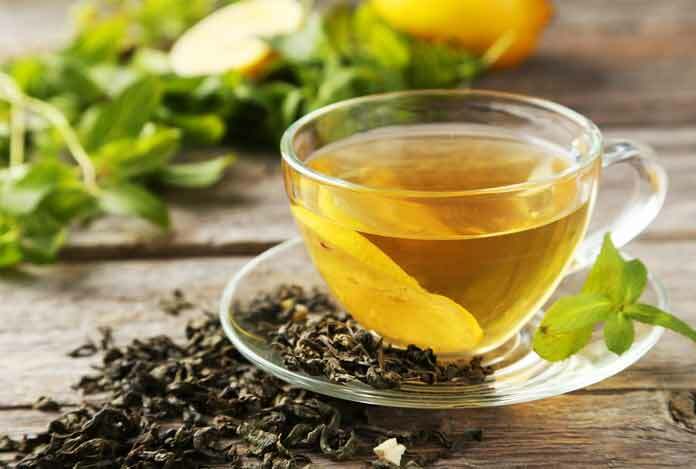 Green Tea: It is quite effective in managing obesity and promoting weight loss. Boil green tea leaves in boiling water for few minutes. Drink it two or three times a day. Apple Cider Vinegar and Lime Juice: Add a teaspoon of apple cider vinegar and lemon juice in a cup of warm water. Drink this on an empty stomach. Water keeps you hydrated, while apple cider vinegar will enhance the metabolism. Honey: Take a teaspoon of honey and mix it in a glass of water. Add lemon juice to this mixture. Drink it on an empty stomach in the morning. Do it regularly for two or three months for visible results. Drink Hot Water: Hot water will eliminate fat deposits in the body. Make it a point to drink hot water after every meal at a gap of half an hour of eating. Don’t immediately drink water after eating. Mint Leaves: Mint is helpful in healthy digestion. Add mint leaf extract in a glass of water and mix it. Drink this mixture after half an hour of taking the meal. Fennel Seeds: It is a very old and widely used home remedy to treat weight loss. Boil about 6-8 fennel seeds in a cup of water. Remove the seeds and drink this solution every morning on an empty stomach. This will reduce your urge to eat. Put Spices in Your Tea: For losing weight fast and easy, add two to three pieces of ginger, cardamom, cinnamon, black pepper to your green tea. Consume this tea twice or thrice a day to see effective results. Curry Leaves: Eat 10-12 curry leaves every morning on an empty stomach. Chew the leaves thoroughly. Do it for four to five months. You will see considerable loss in weight over this time duration. Vegetables and Fruits: Incorporate green leafy vegetables like carrot and tomato in your daily diet. One can go for tomato salad in the morning for effective weight loss. Jujube in Water: Soak jujube in water. Let it remain overnight and drink it the next morning. Continue with it for over a month for observable results. Finger Millets: It is an ideal food to treat obesity and maintain healthy digestion. It has high fiber content; thus, helps keep weight in check. To control obesity, do not skip meals. Eat a well-balanced diet with proper intake of vitamins and minerals. Do not snack up on unhealthy and junk food. Quit processed foods as these are full of preservatives, fats, salts and sugars. Also, it is recommended to bake stuff rather than fry.